For some homeowners, hiring a painting contractor feels like stepping up to the roulette wheel: it’s a gamble with unknown odds. Most give up early in the hope of finding a great painter and a great price. However, you can eliminate the risk by following these simple rules for finding a stellar painting contractor who can complete your home improvement project. Here are 11 simple rules to abide by when looking for a painting contractor who you can be confident will get your home improvement job done right. If you agree to advanced payment of any kind, make sure that materials have been purchased and are on your property, leaving you some kind of leverage, should the contractor default on the work. The bottom line is that a reliable painting contractor should never request a deposit before starting your project. While a good painting contractor may tell you he’s insured, a great contractor presents a copy of his policy, proving the amount of coverage he carries for both property damage and bodily injury that may result from the contractor’s work. By nature, paint materials are highly flammable and, should a tragedy occur, you need to know your contractor is sufficiently insured. The last thing you want to realize part way through a paint job is that the painting contractors you hired isn’t the professional they told you they were. The best way to make sure this doesn’t happen is ask for the company’s licenses, if they don’t provide them on their own. Local and state licenses are certified proof that a painting contractor is legitimate and knows what he is doing. This way, you’ll have peace of mind that you are aren’t getting scammed and are working with a reputable company. On the labor side, a great contractor works with solid, experienced painters whose work he knows he can stand behind with an extended labor warranty. So, before you hire someone to paint your house, talk to them about their warranties and make sure you are covered. In addition to the quote’s content and accuracy, is it presented professionally? Is the quote printed on company letterhead? Does the sheet show the contractor’s license number? Does he use a local landline phone number (be wary if only a cell phone number is listed)? Work guarantee and relevant product warranties? 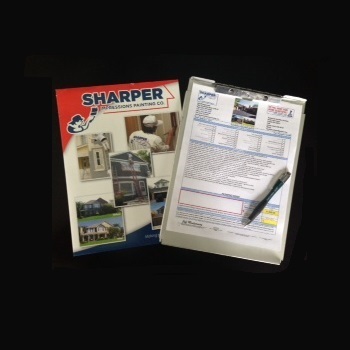 Inexperienced contractors using standard business forms purchased at office supply stores could suggest they haven’t invested much in their business, and may not be properly licensed. Also, they may not be paying income taxes, a risk you don’t want to take when hiring a painting contractor. There’s a reason professionalism is important, even when it comes to painters. Good painting contractors may have references from local work that was completed in the past few weeks. But great painting contractors will provide multiple references from both recent and past work. References from a year ago or longer show the paint job’s durability and confirm that any necessary follow-up or billing issues were handled correctly. This establishes trust and reassurance that your selected contractor will follow through. Work vehicles: are they clean, organized and professional? The painters: are they neatly dressed and groomed? Materials: are ladders, scaffolding, drop cloths and electrical equipment in good condition? Is work being done carefully so as not to damage landscaping or property? 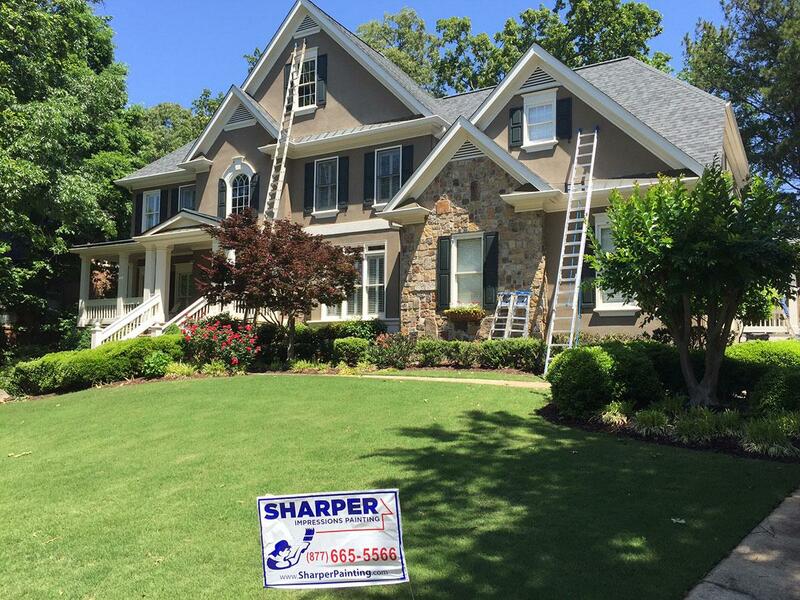 The best painting contractors treat a home, and the homeowner, with respect and professionalism at all times. You may already know what color you want to paint a room, but the fact that a contracting company offers this service to all customers for free is a good sign that they have a wide variety of tools to utilize. They’ll likely go above and beyond with their other services, too, ensuring you are a satisfied customer. Investing in your home’s appearance and value with a professional paint job is an important decision. 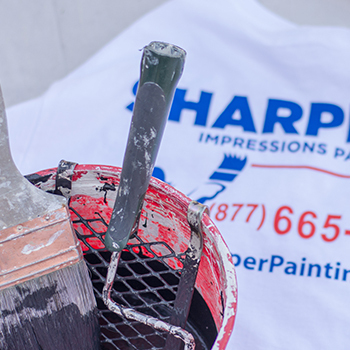 Now that you know the secrets to finding a high-quality painting contractor, you can enjoy a smooth, successful home improvement experience. You know you want to hire a professional to paint your house, but you don’t know where to start. You want to make sure you’re hiring the best painting contractor around, so you do what most people today do when looking for a service: go to the Internet. But with so many options, how do you know which is the right one? 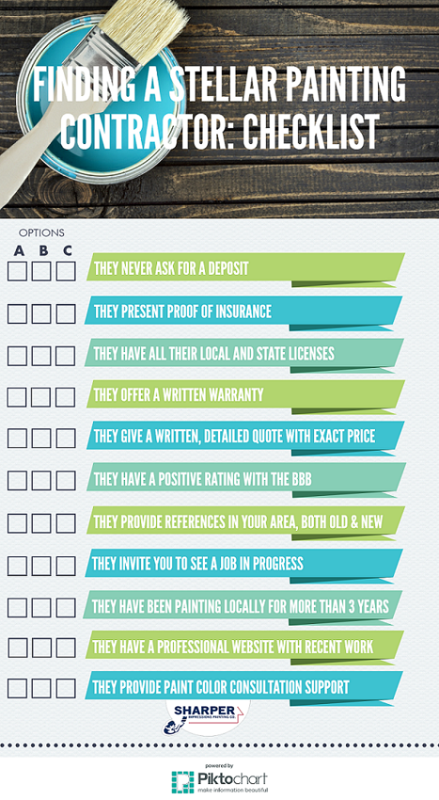 Here are six easy steps to finding a local painting contractor. The first step to finding a local painting contractor is going to your favorite search engine. With the overwhelming amount of information on the Internet, you’ll be able to find the best results directly on a search engine, rather than on a specific site or by looking in the classifieds. Luckily, search engines like Google are now pretty good at gearing searches to your location. But to get different results and look at all your options, try using specific locations in the search terms. You can include the name of the suburb you live in, a nearby major city or even the phrase “near me.” You’ll get a wider variety of results with each search, depending on whether you want a broad search or a more narrow one. One of the most important steps in selecting a painting contractor is reading ratings and reviews. This is the best way to know exactly what to expect from the company, based on what others have posted. From quality of service to timeliness, there’s a lot you can learn about a company before working with them, solely from reading online reviews. And since these reviews are organic (not paid for by the company—hopefully), you can trust that they are honest and truly reflective of the painting contractor’s work. After you get multiple quotes from a few painting contractors, review the costs. You can compare prices and decide which contractor will do the best job for the best price. Make a final decision and contact your local painting contractor to get started on your home improvement project! 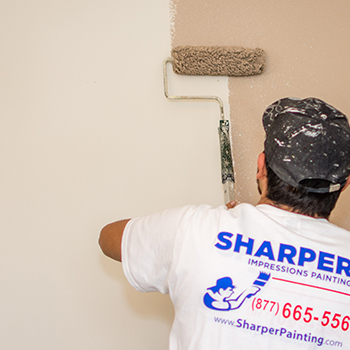 If you’re looking for a simple change in your home’s appearance, hiring a painting contractor to paint the interior or exterior of your home is a great solution. Whether you plan on just having one room painted or the entire house, there are a number of benefits that come with having your home painted. Here’s what a fresh coat of paint can do for your home. Add curb appeal to the exterior of your home: Do you find yourself embarrassed to look at your home from the outside? Painting the exterior of your home can easily make your house look like its undergone a renovation. Your upgraded home is sure to turn heads when the neighbors drive by. Clean up interior walls and trim of smudges, nicks and dings: When you’re used to all the little dings and scratches that have appeared on your walls over the years, it’s easy to overlook the small damages and forget they’re even there. But when you’re looking for an easy way to update your house, this is one of the simplest things you can do. A new coat of paint can cover up those marks and quickly give your home a facelift. Give new life to a room: A new coat of paint is a simple way to make drab or tired rooms feel more updated. You can easily transform that traditional moss green dining room into a more modern space by painting it a new color. This will make your space feel more current and lively. Change the scenery: When you’re tired of the way a room looks, a new coat of paint is a much easier—and cheaper—way to change up a room than completely redecorating. If you’re bored of the appearance of your kitchen, bedroom or exterior, change it up by trying a new color. When you’re having the interior or exterior of your home painted by a contractor, you don’t have to worry about doing the labor yourself. However, you do still have to make a decision about the color you want your house painted. Many homeowners think this is an easy decision, and go into the store saying they want a certain color; blue, for example. But once they make their way over to the blue paint section, the choice suddenly becomes much more difficult. Do I want robin’s egg? Powder blue? Light turquoise? The options are limitless. On the other hand, there are many homeowners who don’t know where to start when choosing a paint color. Do I want a safe, neutral color, or something more bright and inviting? No matter where you are on the spectrum of choosing a paint color, there are a few questions you should ask yourself that will help you choose the best color for your painting project. Have you seen this color on another house that you enjoyed? Ask yourself: is this a color that I have seen before on another house? Do I know it will look good on the exterior or interior of my home, too? Not every color looks as good on the walls as it does off, but if you know what the room will look like before you commit to the color, you can be certain you’ll love the new look of your home. Have you consulted your painting contractor’s color expert? 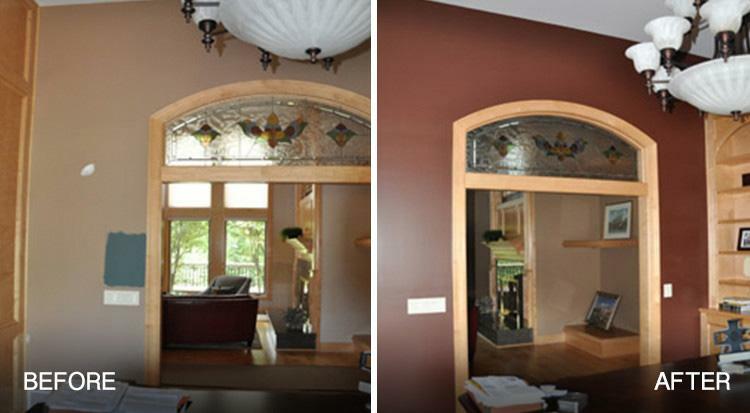 Has your painter provided free color try-on’s of your new color? Another bonus that a reputable contractor will offer is free color try-on cans. 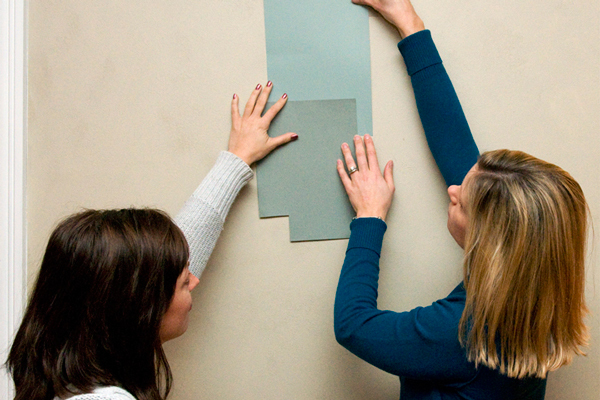 This allows you to actually see the new paint color dried on your walls before starting the project. If you’re painting the exterior of your house, the contractor should first power wash your home to clean the surface of dirt and grime. If your painter doesn’t include this in his quote, he is skipping a very important preparation step. Does your painter offer the ability to digitally paint a picture of the room or exterior with your new color choices? Decide what style you are going for. Rustic might mean more warm tones, whereas modern might include more neutral or cool colors. Choosing a style will help narrow down the range of colors or a specific palette that will convey the look you want. Are there features, tapestries or fixtures in the space that would only match certain colors? If you are only having a room painted—not completely redesigned—you might have furniture or permanent fixtures to plan around. Cupboards, countertops, carpeting and couches are all examples of features you might have to work around. Before you make a decision, consider all the aspects of the room. Do you want the space to feel more open or cozy? It’s amazing how the color of a room can alter the overall atmosphere. Dark colors make a room feel more enclosed, whereas bright, light colors can make a smaller room feel more spacious. Depending on how you want the space to feel will determine if you should go for darker colors like navy or charcoal, or stick to light colors, like white or yellow. What kind of natural or artificial lighting is in the room? Lighting can make a big difference in how your room looks. Lots of lighting, whether natural or artificial, is more likely to bring out the true color on the walls. On the other hand, a room with limited lighting could make a color appear darker than you wanted it to be. Make sure to account for the room’s lighting when you choose a color, and adjust your color choice if necessary. Do you want the color to be subtle or make a statement? This is a question that is usually pretty easy to answer. Think about the space and the rest of the furniture in the room. If there’s not much furniture, you might consider painting the walls a statement color. Or, if the room is filled with art or other statement pieces, think about letting the walls be the canvas, rather than the focal point.